Nicki Minaj dons an asymmetrical wig in The New York Times Magazine, and in the accompanying article she speaks for the first time about the feud between her boyfriend Meek Mill and her Young Money label-mate Drake. The rapper also addresses her beef with Miley Cyrus, which played out on stage at this year’s VMAs. “The fact that you feel upset about me speaking on something that affects black women makes me feel like you have some big balls. 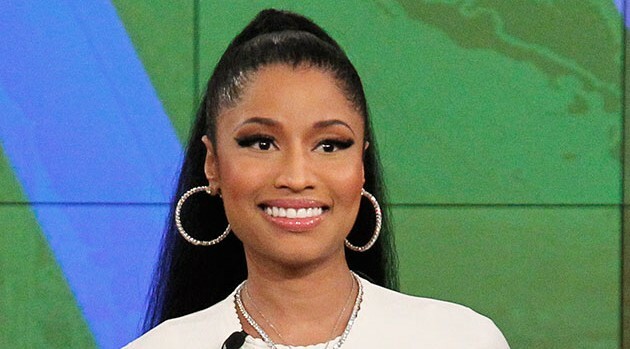 You’re in videos with black men, and you’re bringing out black women on your stages, but you don’t want to know how black women feel about something that’s so important?” Nicki says, adding that Miley only wants to enjoy the benefits of hip-hop culture. Before abruptly ending the interview with the “rude” writer, the “world’s biggest female hip-hop star” also speaks on being a boss, her childhood, Instagram filters, female empowerment and more. You can read the full interview online now.